Nerve writer Charlotte Kenny has written an article on the Parker Sun Probe. In the early hours of Saturday 11th August, the Parker Solar Probe will head off on its mission to ‘touch the Sun’. The device, which is known as the fastest aircraft in history also plans to understand how different stars work however the journey will take roughly seven years to complete. This task will allow researchers to answer a number of questions which they haven’t previously had the answers to. 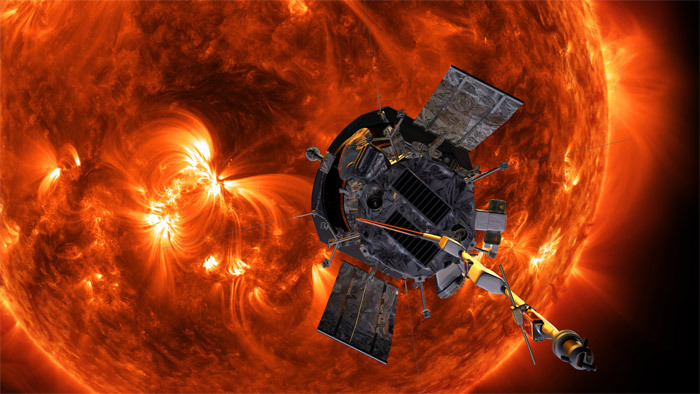 The Parker Solar Probe has been built to be resistant against the hot temperature of the atmosphere around and on the Sun. It will endure temperatures of up to 1,400C and fly within 4 million miles of the Sun’s surface at a speed of 430,000 mph. The aircraft which is about the size of a car will escape the Earth’s orbit and by the year of 2025, reach the sun. In six weeks, the Parker Solar Probe will come into contact with Venus’ gravity for the first time. This will allow the device to slow down and change direction to allow it to travel towards the Sun. This is the first aircraft that can be resistant to the hot temperatures such as 2,500 degrees Fahrenheit and get closer to the Sun than any previous device has. The Parker Solar Probe has been created so that despite these extreme temperatures, the inside of the device stays at a comfortable room temperature. The purpose of this spacecraft is so that researchers could provide an insight into the physics of stars, planets and everything else down to the data and observations made by this journey. This journey will increase the understanding of solar wind as well as improve accuracy of the major space weather events. The mission is expected to come to an end in June 2025 however the first data download is expected in early December which is a month after the spacecraft researches its first close contact with the Sun. Next Post: Fire Stations to close at night!